This book covers gender archaeology in a variety of locations (e.g. China, Italy, Egypt, Thailand, etc.). 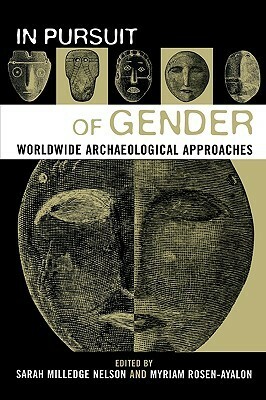 The authors of the chapters provide different methodology to conduct gender archaeology (e.g. art/iconography, mortuary analysis, and grave goods). In addition, I recently read an article by Erica Hill who advocated a multivariate analysis for gender archaeology studies. The second chapter in this book by Ruth Whitehouse does exactly that by combining burials with iconography from paintings to figurines. Though one of my critiques on the book (which is my personal opinion) is that I think a lot of methodologies involve iconography. Going into this book, I was hoping for more studies to include mortuary/burial analysis. However, another person who is looking to read more about gender archaeology conducted through iconography likely would have a different opinion than myself on the matter.